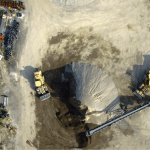 Employing Drones for a Survey Company | Canadian UAV Solutions Inc. Employing Drones for a Survey Company | Canadian UAV Solutions Inc.
UAVs or “drones” are now an important part of a modern survey company. They provide an astonishing amount of convenience for anyone with a large-scale project that requires a visual survey. It’s generally the case that anyone commissioning a drone survey has a lot of money riding on getting the correct information, so choosing a reliable survey company is crucial to your success. That success comes from accurate and clear images of what is being surveyed. This requires skilled drone operators. 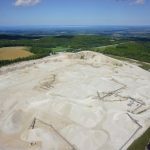 It could be difficult to know which survey company is employing good drone operators, but in the case of a particularly regulations-heavy province such as Ontario, the provincial government does some of that work for you. If you’re looking for a survey company in Southern Ontario, we at Canadian UAV Solutions Inc. employ operators who are fully accredited by the Province of Ontario to create the quality of survey images you require. All our drone operators carry either a pilot permit or a Civil and Commercial UAV Training Certificate issued by Transport Canada, as well as a Restricted Operator Aeronautical Radio Licence issued by Industry Canada. Of course, all their accreditation is up to date. What’s more, you can guide the operator on site, if you wish, to create the images the way you want them, by seeing what the operator sees and directing the photography. If necessary, we can return to a site later for updated images. Our equipment is portable, and we’re happy to travel almost anywhere in Southern Ontario to access your site where the required images are waiting.